As you compile the history of your family, it's important to include old historical photos in your research. These pictures, whether they are of specific ancestors or general places that are important to your family's history, will provide a vivid sense of time and place. You've probably heard the old adage about a picture being worth a thousand words. When it comes to family history, this is truer than ever before. It's easy to get caught up in the names and dates of genealogy, and many genealogists find that it can be difficult to accurately picture their ancestors and their lives. Photos provide another dimension to your research. One of the most obvious benefits of a photo is that you can get a sense of what your ancestors really looked like. You can even examine the pictures for family resemblances and even familiar mannerisms. You can also find out about your ancestors' social and economic situations by examining old pictures. You'll find that styles of dress, background items, and hairstyles can all provide clues about how your relatives lived. Photos can give your research a sense of place. Families often have photos of old homes or farms, and these can help you understand more about where your ancestors lived. You may even be able to use these photos to find a home that is still standing today. You can also use old town photos to see what a town looked like when your ancestors walked its streets. Picture can also help you establish family relationships or get a better idea of how your ancestors felt about one another. Examine the photo to see how your relatives are posed together. Do they seem comfortable with each other? Other family members sometimes have photos you might not have. Ask around to see if someone else has a picture you can copy. Local newspaper archives often contain historical photos. These pictures might feature your ancestor, or they might help you understand more about what the town was like during that time period. 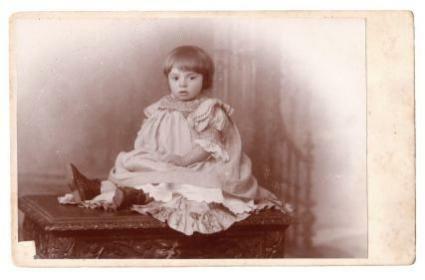 Local genealogy websites sometimes post photos from local photography studios. You can find a local genealogy site by searching the web using the county name. The National Archives has over 40,000 images in its online database and many more at its facility in Washington, DC. Your ancestors or important events in their lives might be featured in this collection. Old-Picture.com has photos of important events in American history. Photos of Old America has a great selection of antique and vintage images for sale. Shorpy Historic Photo Archive is a blog with images of America that are at least 100 years old. Historic Photo Archive also sells copies of old photographs. Once you've found historical photos of your family members or important events in their lives, it's time to preserve these images. If you don't already have a digital copy of the image, it's time to make one. This will help you keep the image safe for future generations, and it will also allow you to see additional detail through photo enhancement software. Don't forget to label old photos with all the information you can find. If you can determine when an old photo was taken, include this information. Also note who is pictured and where the photo was taken. You can preserve the hard copies of your old photographs by keeping them in acid-free albums or boxes. Depending on the number of images and their condition, this may be work you can do yourself. If your photos are in very bad shape or the job seems overwhelming, you can hire a photo preservation company to take care of your old photographs. As you complete your family tree and compile old historical photos that complement your research, don't forget to share your work with other genealogists. You can do this by sharing photos online at sites like Ancestry.com or by noting the photos on message boards. You can email the historical photographs to other people search for the same branch of your family.